Trivia for they Eyes. All new Edition for 2014! Explore the world through images. 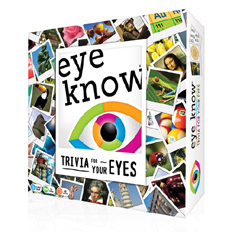 The updated version of Eye Know now features even more content and an alternate game play system for younger players. 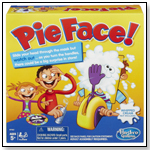 Select an image from the game board to identify and then answer one of three trivia questions about the topic. Choose from an amazing array people, places, animals, manmade objects, famous places, flags, logos and much more. SRP $24.99-$29.99, 2 or more players. Awards: Mensa Select Award Winner.